A family-run business since 1990, Anderson takes pride in the growth and expansion it has experienced within the last two decades. Each individual is vital to the operation, whether they are communicating with customers, setting up files, or printing and installing. There is a true sense of collaboration from the start of your project to the finish, no matter how big the client. Bottom line, we get the job done. Anderson signs was established on the mission to provide our customers with the highest quality products and services and to make the whole process easy and affordable. We have grown substantially over the years and have been able to expand our services to meet the ever growing needs of our clients. 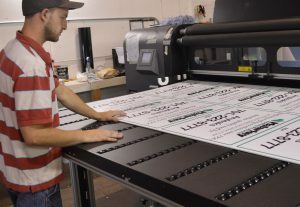 Don’t get us wrong, we are a sign shop, but we are also a partner in helping you develop strong visual communications with a wide variety of products and services. We also know that one size NEVER fits all and we work with customers to help create customized solutions that meet their needs and budgets. 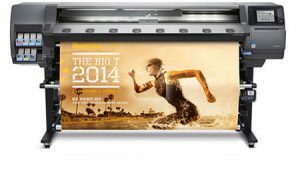 This device is able to print on both indoor and outdoor media. It’s capabilities are not limited to traditional signage materials, even working on textiles. It produces long-lasting, high-quality prints with scratch resistant, hard-solvent inks. 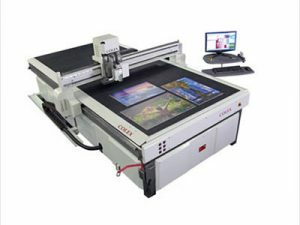 Not restricted by traditional media, this machine allows us to print on anything to your heart’s content. 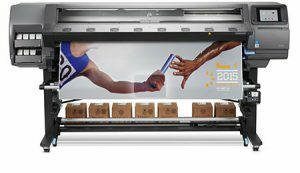 HP Scitex FB750 Printer – texture? Print high-quality content, imagery, and graphics on a vast variety of media ranging from rigid to flexible. With this versatile device you are only limited by your creativity. Need some texture to pack more punch? It does that too. 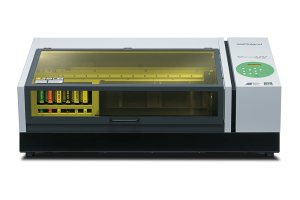 With this highly innovative machine, you can print directly on three-dimensional objects up to 3.94” thick. With capabilities for custom jobs from promotional items to electronic devices, giftware and specialized signage, there aren’t many things it can’t do. Add more depth with textured effects too. With a fixed knife, oscillating knife and router, we are able to custom cut to your needs, providing endless possibilities in the realm of application. Got an idea for a project? Let's get started!